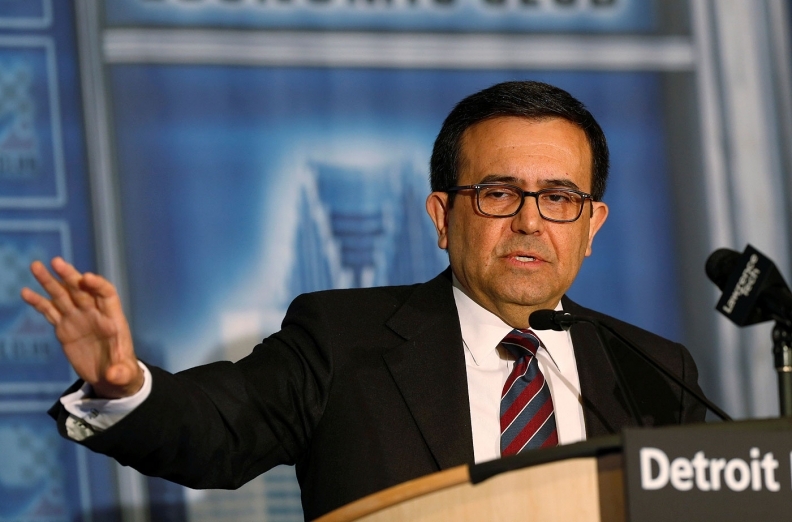 Mexico Economy Minister and chief trade negotiator Ildefonso Guajardo has played the dual roles of expressing optimism about a tweaked trilateral deal and drawing lines in the sand. Laurence Iliff covers Toyota and Mexico for Automotive News. Spring couldn’t have come soon enough for Mexican officials who worried that the North American Free Trade Agreement might not survive the winter of Donald Trump’s ascent. It sounds dramatic now, but the long faces and wary comments from Mexican auto industry leaders a few months ago suggested at least a latent fear that at any moment, Trump might cut Mexico loose and be done with the trade deal. Likewise, Mexicans were so outraged by the commingling of attacks on NAFTA with threats of a deportation force and a border wall that some commentators suggested Mexico should perhaps walk away first to keep its dignity. So far, cooler heads on both sides of the border have prevailed, paving the way for negotiations later this year that may find the right mix of concessions to keep the trilateral trading bloc alive for another quarter century. Mexican Foreign Minister Luis Videgaray remained engaged with his contacts in the White House -- including Trump adviser and son-in-law Jared Kushner -- even as tensions flared over immigration and the border wall. Meanwhile, Economy Minister and chief trade negotiator Ildefonso Guajardo has played the dual roles of expressing optimism about a tweaked trilateral deal and drawing lines in the sand, such as any attempt to add tariffs. Now that the focus of trade negotiators is on the fundamentals of the deal -- rather than the politics around it -- Mexico and its auto industry are breathing a palpable sign of relief. The Mexican peso, which had slid in value to nearly 22 to the U.S. dollar after Trump’s election, has rebounded to about 19 per dollar. Mexico’s stock index is also near a record high. Market analysts cite a softening of the tone coming out of the U.S. now that Trump cabinet officials such as Commerce Secretary Wilbur Ross are doing the talking for him. “We find the change in tone between Ross’ comments and Trump’s campaign rhetoric striking,” said Benito Berber, senior Latin American strategist at Nomura Securities. Ross appears focused more on improving NAFTA by tightening rules of origin and adding chapters on trade favorable to the U.S. (the digital economy, services and energy) rather than a deep revision of the 20-chapter treaty, Berber said in a research note. Despite continuing anxiety over NAFTA, Mexican manufacturing is holding up and auto industry leaders aren’t yet panicked about investment going elsewhere, although a good chunk of it is certainly sitting on the sidelines. Mexico’s auto production, auto exports and local car sales are up by single digits so far this year on solid North America demand. Indeed, the bigger fears over NAFTA may be that the talks drag on too long, into 2018 when Mexico has general elections midyear and the U.S. has midterms in the fall. And of course, the Trump administration is still mulling the border adjustment tax promoted by House Speaker Paul Ryan that would hit imports of all foreign goods into the U.S. But for now, the sun is out, Mexican factories are humming and tomorrow is another day.